Since 2011, the Out! Raleigh festival has become an increasingly meaningful part of Raleigh, N.C.&apos;s downtown culture. Promoting diversity, inclusiveness and respect for the LGBT community, including friends, families and allies both inside and outside of the area, each festival has been more successful than the last. The sixth annual Out! 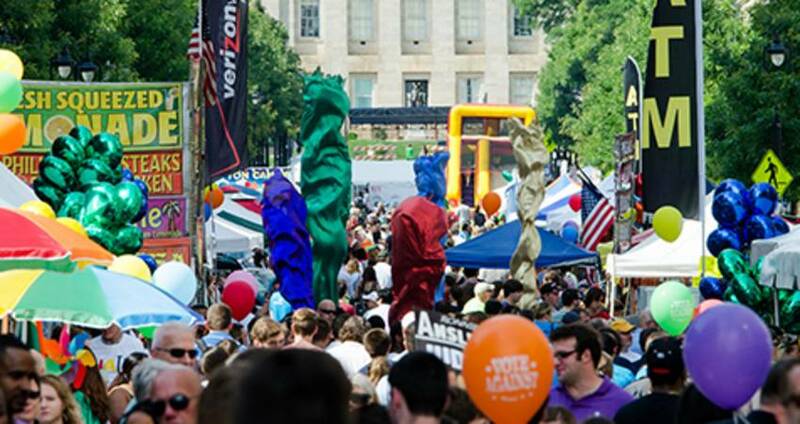 Raleigh 2016 festival will take place on Sat., May 7, along Fayetteville St. This inclusive and action-filled event is family friendly, with activities for all ages. Running from 11am-6pm, the event offers live entertainment, local vendors and artists, great food, a KidsZone and a beer garden, and there is no admission fee. 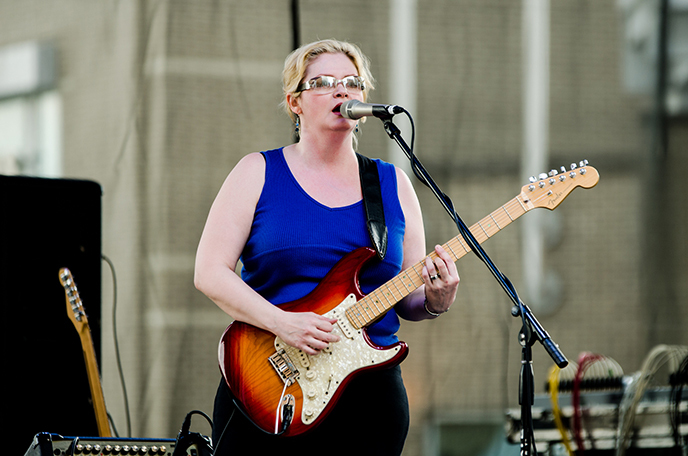 Among the musical acts performing on the event’s main stage are 120 minutes, Kristen Ford, Shadina, Big Mama Shakes, DJ Pancakes, Sayer McShane, Laila Nur and the Chit Nasty Duo. The Out! 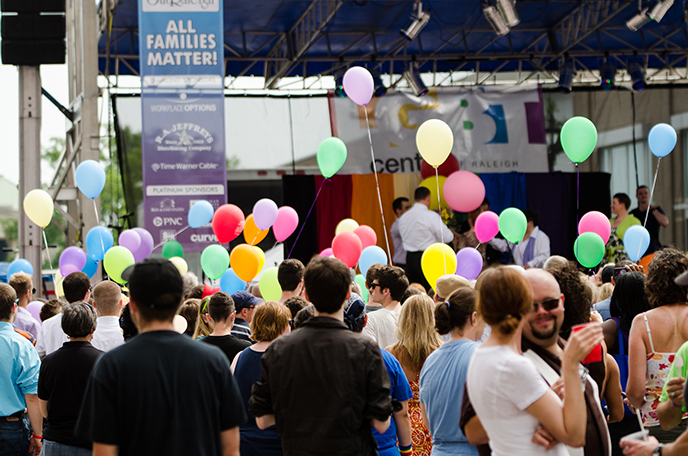 Raleigh festival, hosted and produced by the LGBT Center of Raleigh, is an important way for the organization to raise the necessary funds to support the more than 20 community programs it offers. Last year, more than 25,000 people poured into Raleigh’s City Plaza to celebrate the vitality, dignity and rights of the LGBT community. In addition to great food, drink and entertainment, more than 100 vendors will be onsite to provide information, offer products for sale and demonstration and show their support for the festival’s mission. Much of the festival’s success has been driven by the participation of supportive local businesses that have stepped up as event sponsors. With an ever-increasing number of festival goers, Out! Raleigh allows local businesses to show their commitment to an important community institution while also raising their own brand awareness. As in years past, connecting people with supportive faith communities is also an important part of Out! Raleigh. With the belief that any community’s ability to achieve health and well-being is greatly enhanced by the support of faith communities, the LGBT Center of Raleigh and the Out! Raleigh festival are closely involved with local faith leaders and are proud to make those connections happen for groups and individuals. Find fellow festival goers and volunteers on Twitter (@outraleigh), #outraleigh2016 and #goallout. visitRaleigh.com also has an LGBT Traveler section, helpful for trip planning. Check it out here!